Living on the lake has always been coupled with a driving desire to leave, partly because we know we will always return. Another reason lies in the fact that a lot of what happens at our house and yard requires constant attention and upkeep. It’s rare that a day at the lake is spent resting on the dock reading a good book between naps and a long swim. One of those things might happen after a day of chores. So I am always thinking about the next trip. As an Italian, Rob has a difficult time getting in the car and actually driving away. The unspoken fear is, “Who will watch the house?” Growing up in a close-knit compound where three neighboring homes were occupied by blood relatives, there was always someone around to keep an eye on things. 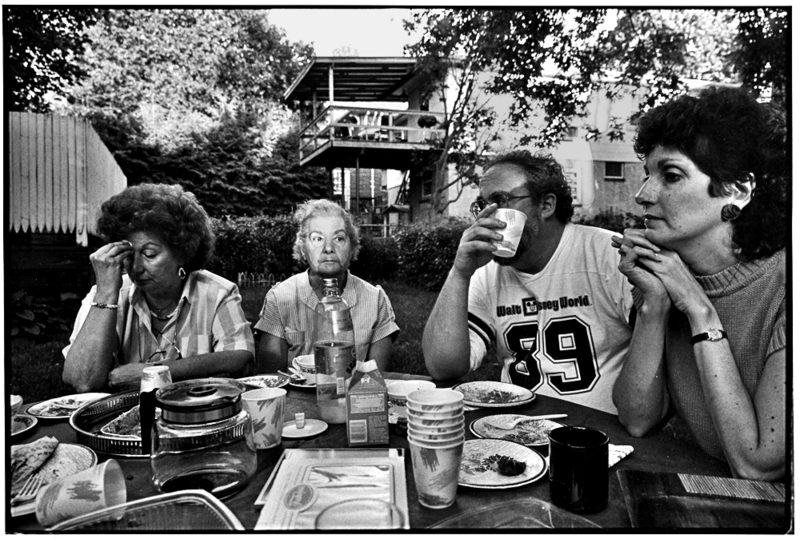 The only people around us are an odd collection of neighbors we refer to as “The crazy house,” “The troglodyte,” “Buzz bomb,” “The drug addicts,” and “Scary.” Not exactly a rousing recommendation. But after the trip has been planned and the light timers are set, the wooden pole is slipped into the sliding glass door and the alarm is turned on we barrel away on an adventure accompanied by any number of talismans. These trinkets hold deep and guarded powers over our lives except they probably only hold the power we have assigned to them. There’s Gobo the little Italian hunchback who hangs from the car’s rearview mirror. If you rub his hump he wards off the evil eye and brings you good luck. I’m not sure what evil spirits await us on our journeys but it’s good to know we have that covered before even pull out of the driveway. 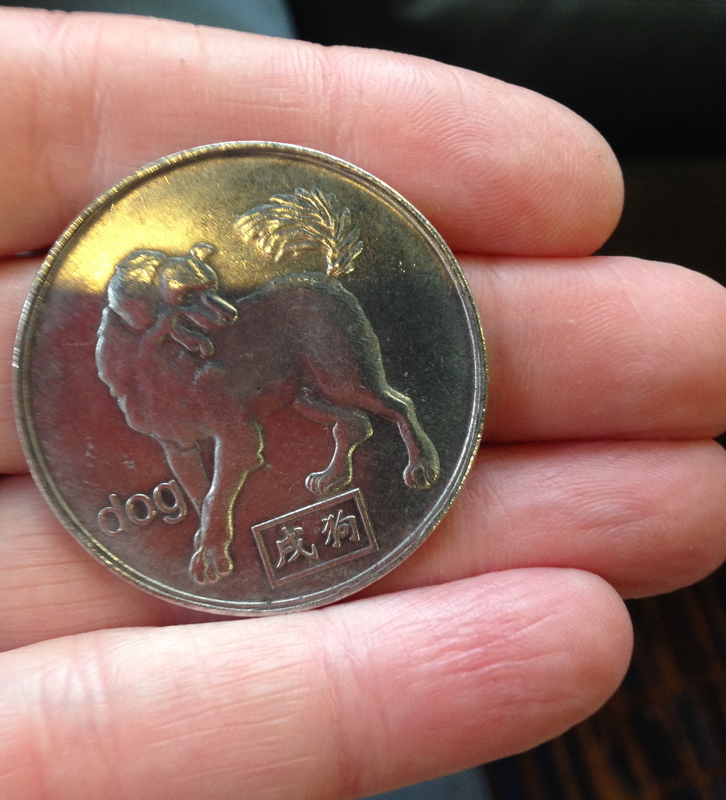 Inside our pockets we have silver Chinese coins that have pictures of the animal of our birth year. I was born in the Year of the Dog and I have two of them. I lost the first one and Rob diligently replaced it. The other day I pulled out a pair of shorts for the arrival of warm weather and the original dog coin fell out of the pocket. “That’s a good omen,” Rob said. The next day we discovered a long lost blown glass fruit bowl we had decided a visiting handy man had stolen. For years we pulled up the example of the missing fruit bowl as another indication for why you just can’t trust people and you can never have enough safeguards. When we found the fruit bowl buried under platters in the back of a high cabinet we changed our tune. My Chinese zodiac symbol is earth dog. It is associated with the turn of each of the four seasons. It governs the spleen, stomach, mouth and muscles. Its negative emotion is anxiety and its positive emotion is empathy. But I really like the way rabbit coins look so I have one of those too. Rob tells me that the rabbit isn’t doing much for me. Rob and I have placed guardians all around us. 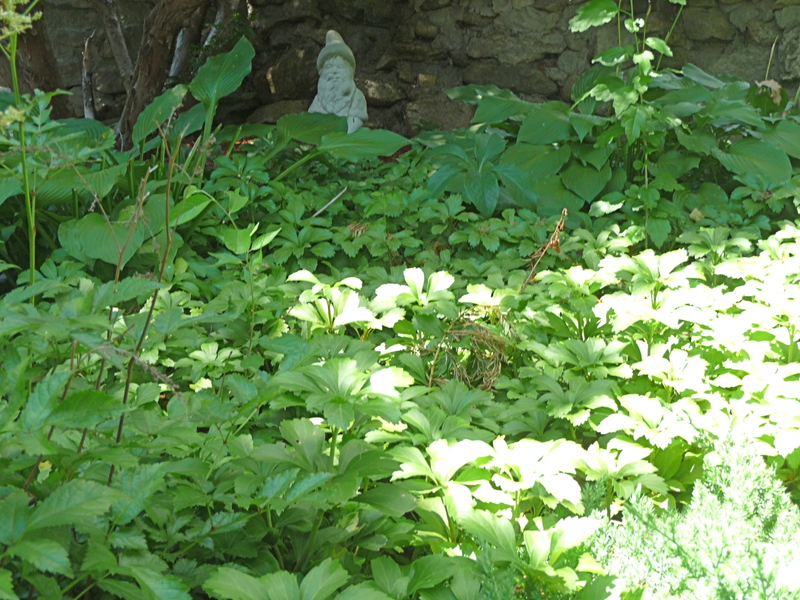 Garden gnomes watch over the lawn, a Lucky Cat statue safeguards the books. We pay homage to our ancestors with their pictures on the mantel. 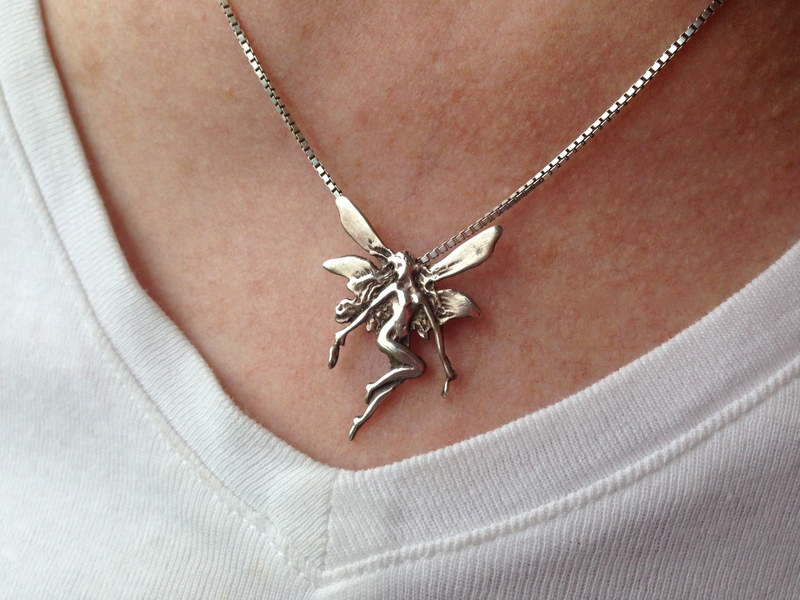 But the charm I hold most dear is a small silver fairy that I wear around my neck whenever I fly on an airplane. My oldest sister gave me the fairy in 1970 and I partly believe in it’s power because I haven’t ever lost it. It harkens back to an era of hippies and free spirits. My fairy and I lift the plane into the air and safely land the equipment onto the runway. The captain helps but I know that my fairy and I assure our safe return. Admitting all of this goes against what I have always believed about our adult selves. We travel with plans. We scope out a detailed itinerary that includes roadside attractions, well researched restaurants, side trips and we only stay at hotels with high marks on Trip Advisor. We allow logic and reason to guide us through most of life. We are firm believers in science and evolution and scoff at organized religions and the zealots who hold their faith dear. We do not believe that catastrophic weather is the result of a pissed-off God. We laugh at the television evangelists preaching to thousands of blinking congregants who nod their heads in agreement. “Sheep!” Rob barks as he changes the channel. Followers of God accept truth in the unseen. Their faith is something deep inside them and they believe life’s randomness are acts of God. “God works in mysterious ways” or “only God knows” are common responses to unexplained events. 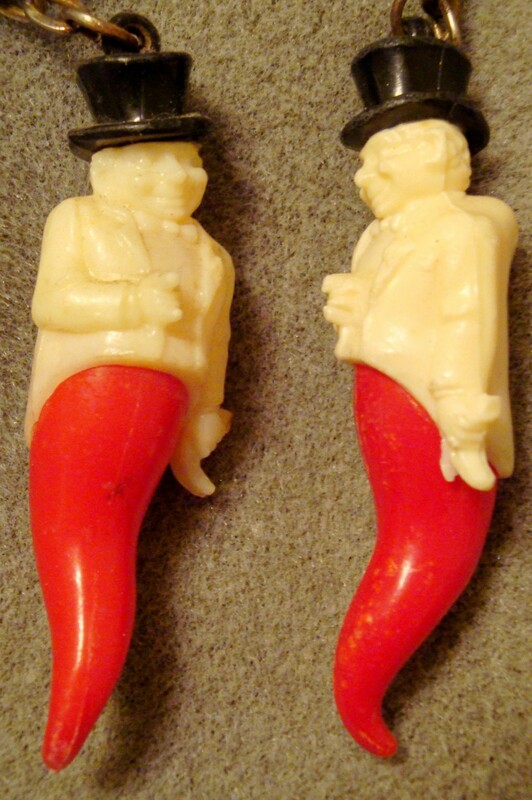 So you might think that our affection for good luck charms is more than a little duplicitous. We could probably become members of the Church of the Good Luck Charm. The difference lies in the fact we know these things are trinkets. At the end of the day I know the fruit bowl was there all along and why the coin fell out of my pocket and the pilot, weather conditions and air traffic control landed the plane safely. But the fairy makes me feel better.